Just in case you wanted to make popsicles even more fun ((who knew that was even possible?)) 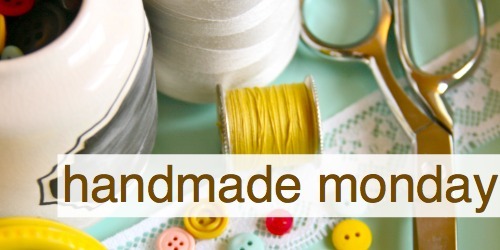 today's handmade monday idea is perfect! Now you can have custom popsicle sticks for your summertime party, get-together, baby shower, etc! There's no need for a tutorial because, ummm this is pretty self-explanatory. 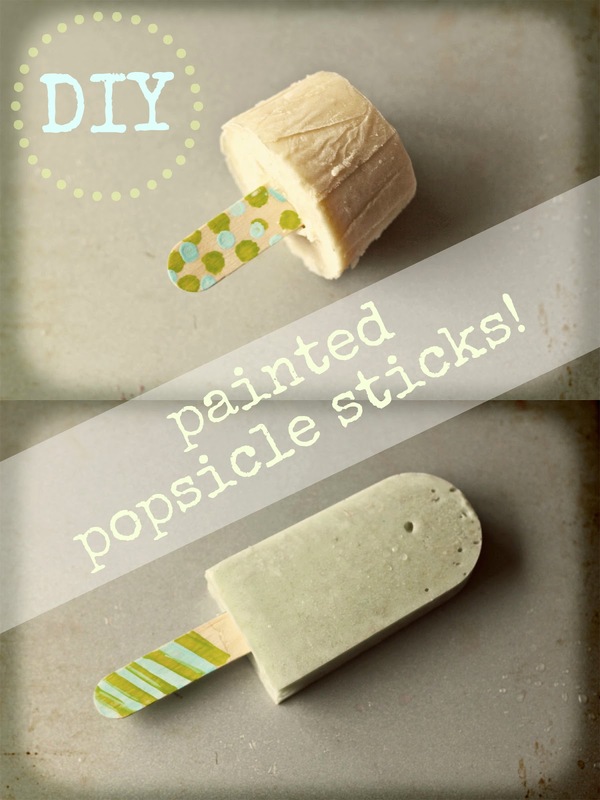 All you have to do is paint the bottom 1/3 to 1/2 of the popsicle stick with miscellaneous prints. Stripes, chevron, hearts, polka dots, words like "yum!" would all be fantastic. I used q-tips & basic craft paint. You can also use sharpies if you have lots of colors! Make your popsicles using forms that can be found at target, world market, etc. Instead of using the "handles" that come with it, cover the popsicle form with foil, cut a slit in the middle and then stick the "blank" side of the stick into the popsicle. Freeze and voila! Your popsicles just got pizazzed. This would be a fun "all day/marathon" project for kids. Have them paint the sticks in the morning, have them dream up some fun popsicle ideas, make them before lunch and then let them freeze while they're napping! PS Stay tuned next week for some yummmmmmy popsicle recipes! PSS If you make some of these I'd love to see what you come up with! Tag me (@ohsweetjoy) in your instagrams or tweets so I can see! PSS linking up at the southern institute! // 30 handmade days // tatertots & jello! exactly! red white & blue ones for 4th of july? i think YES! great idea. im all about this with the kids!